How to Transfer Spotify Music to iPod? First of all, can you transfer Spotify music to iTunes? The answer is definitely Yes. Actually, though there might be many a difference between Spotify and iTunes and you can not directly transfer Spotify songs to iTunes, you can download Spotify music beforehand and then convert the Spotify music to iTunes supported format. 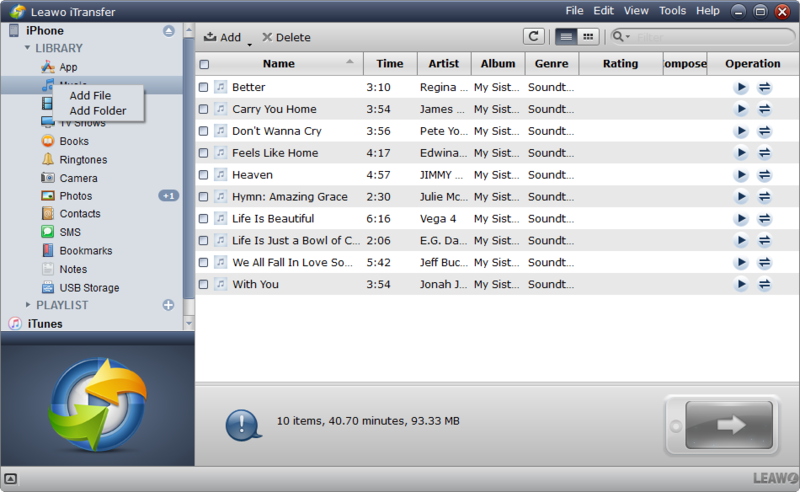 After that, you can move your favorite songs from Spotify to iTunes simply. Of course, it might be easier said than done especially for some newbie. Let’s make some introduction for Spotify vs. iTunes and offer some easy-to-use solutions. 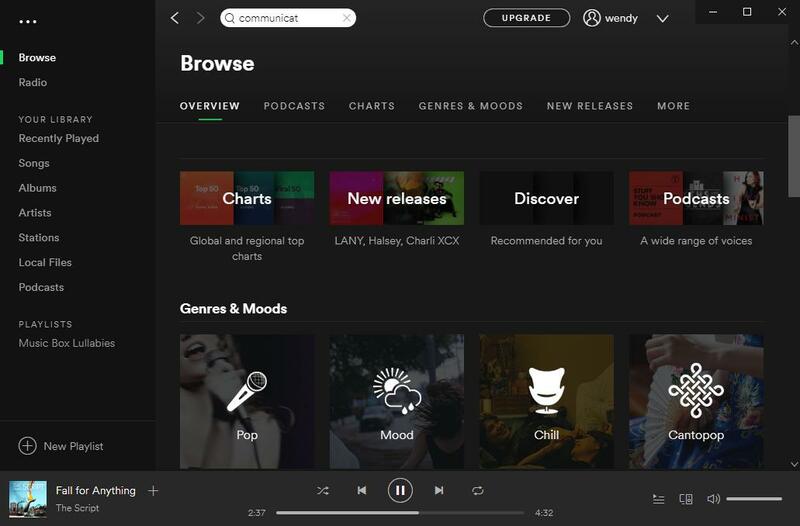 Spotify is a music streaming platform where you have access to millions of songs from different regions including most of Europe, most of the Americas, Australia, New Zealand, South Africa, Middle East, and parts of Asia. 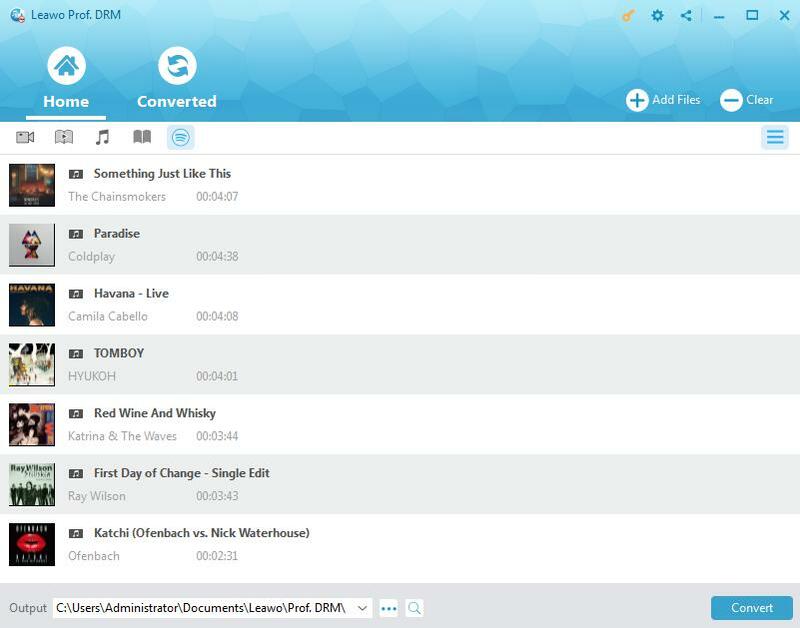 It provides DRM-protected content from record labels and media companies. Besides, Spotify offers a freemium service and a premium service as well. For free users, basic features are available with some advertisements or limitations. While for premium users, some additional features, such as improved streaming quality and music downloads, are offered via paid subscriptions. It can be said without exaggeration that Spotify is the undisputed king of streaming music with 75 million paid users and 95 million free listeners. 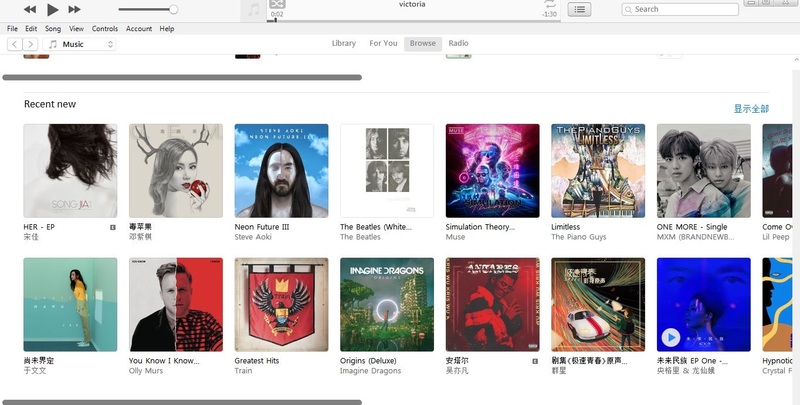 However, since Apple developed iTunes which is a media player, media library, Internet radio broadcaster and mobile device management application, iTunes music has gradually taken a big share of the spoils. And it was reported that Apple Music offered tons of songs in diverse languages and had over 13 million paid users all around the world. Users can create and find different playlist on some particular subjects they love such as kids music playlist, Christmas playlist and so on. 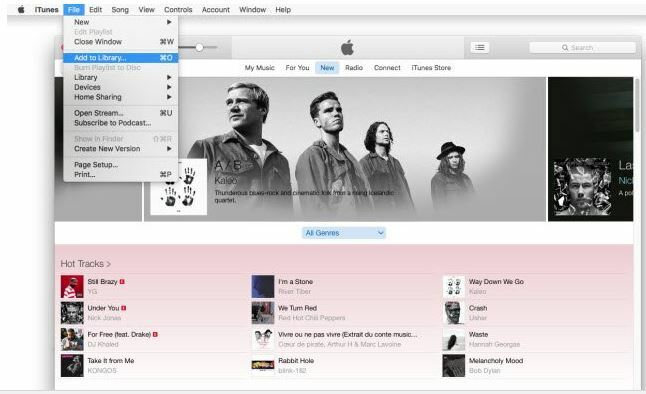 Besides, users can be allowed to edit the tracks of the iTunes music and transfer them to different iOS devices. Undeniably, although iTunes offers a large amount of songs to users and they can buy any songs on iTunes as well, there are also some songs can only be available on Spotify. there are a lot of music lovers who prefer to switch to iTunes Music and are intended to seek a way to import Spotify playlist to iTunes Library for enjoying. However, you must know that Spotify free service doesn’t offer you any downloading functions. Though Spotify premium allows you to download and listen the music offline, the DRM protection and music format also prevent you from listening to Spotify music on iTunes. 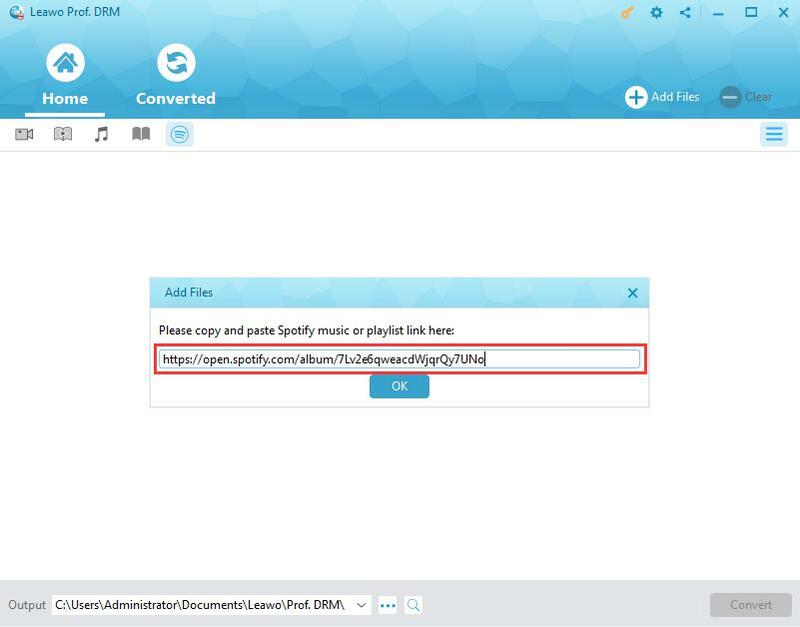 To export Spotify playlist to iTunes, you should download the Spotify music and remove the DRM and convert Spotify to iTunes supported format like M4A. As we mentioned above, to transfer Spotify playlist to iTunes, you should download and convert Spotify music. How can we make it? 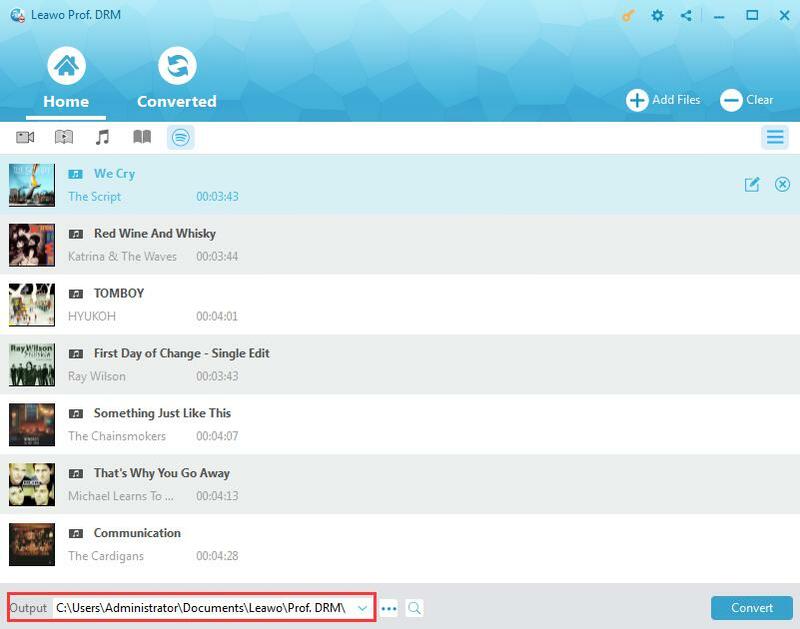 The most popular way is to use the professional DRM removal software Leawo Prof. DRM which can particularly work for converting Spotify to iTunes and then make the Spotify music compatible to iTunes. As a top-notch DRM removal program, Leawo Prof. DRM can remove DRM from iTunes videos, iTunes music, Amazon audiobook, Kindle eBooks and Spotify music for entertaining on video sharing sites and different common devices. For instance, for iTunes video, you can upload DRM protected video to YouTube with the help of Prof. DRM. What’s more, you can not only freely transfer the DRM-free iTunes music songs to any media players and mobile devices for unlimited enjoyment, but also make DRM protected Spotify music be converted and downloaded as DRM-free M4A file with Prof. DRM so that you can listen to music from Spotify to iTunes. With the original quality reserved, music editing is also available, including adjusting audio channel, bit rate, sample rate, for a better music quality output. And to know how to download songs from Spotify to iTunes, download and install Prof. DRM, and then launch the program to follow the coming simple guide. Note: Please ensure that you have started Spotify and play songs smoothly before you launch Prof. DRM. Launch Prof. DRM and click the Spotify icon on the main panel to add the Spotify playlist songs, albums or playlist. Or you are also allowed to directly drag and drop your favorite playlist to the program. If you’d like to add the music file from the Web version of Spotify, you can directly copy and past the URL to import file to the program as well. Click the editing icon on right of the song to freely select M4A as the output format and set the sample rate, bit rate, audio channel to get the audio quality you like. Then choose “Apply to All” for apply this settings for all the uploaded songs in the playlist. Now click output button “…” at the bottom to set an output directory to save the converted files. Click the blue button “Convert” to remove DRM on the songs from Spotify playlist and save them as M4A music. After a while, the conversion will be completed and you can check the converted music by clicking “Converted” button. It is obvious that there are not only paid software that can work for Spotify music downloading, there are also some freeware that allows you to download Spotify music. 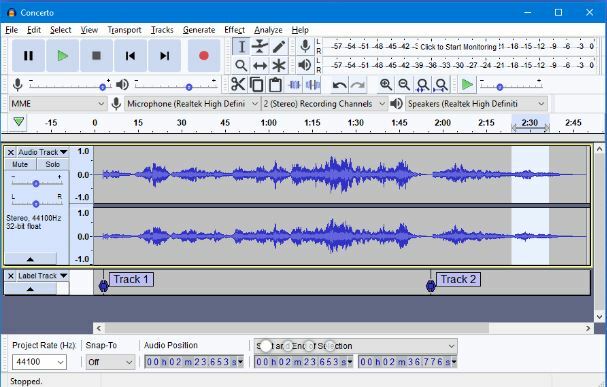 Knowing how to import music from Spotify to iTunes with Prof. DRM, you can also learn about the open source Audacity, which is an easy-to-use, multi-track audio editor and recorder for almost all the common OS. This freeware can help you download Spotify songs totally for free. Audacity allows you to easily download any Spotify playlist and track by recording the music as WAV or AIFF. What’s more, you can add pitch, bass, treble, or other special effects to make the songs more personalized with the built-in audio editor. Following our guide above on how to download Spotify songs to iTunes, the Spotify music has been downloaded and converted in M4A which is supported by iTunes. To transfer Spotify songs to iTunes, you can add Spotify music from your computer to your iTunes library. The easiest way is to export Spotify playlist to iTunes from your iTunes software directly. You can open iTunes, click the menu bar > Files > Add to Library, then you browser and locate the Spotify music playlist files or file folder, and then import Spotify playlist to iTunes by clicking Open button. Sometimes, you may not only want to import Spotify music to iTunes, but also to iOS devices. 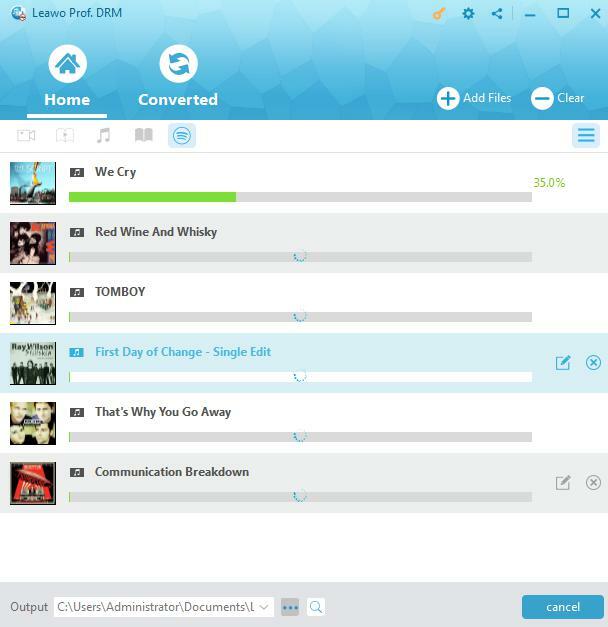 Leawo iTransfer, one of the best ways to transfer music from iPhone to computer, is regarded as the powerful transfer program for iOS devices including iPod, iPad and iPhone, providing perfect solutions for music transfer issues between iOS devices, iTunes and PCs. Moreover, iTransfer is also an outstanding music manager for managing the playlists of the iOS devices and iTunes without any limits. 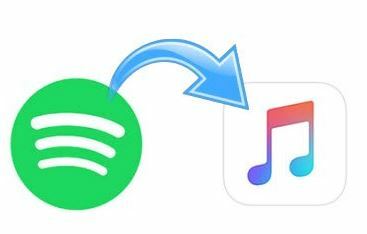 Knowing how to transfer music from Spotify to iTunes, you are also able to simply transfer Spotify files to iOS devices with this program. Take iPhone for example. When you have connected iPhone to computer, the library and playlists of iPhone will be shown in the left sidebar accompanied with the library and playlists of iTunes. Step 2: Add the converted Spotify music from computer. Click “Add” button to browse and choose Spotify playlist songs to the program or drag the music to iTransfer directly. When you add the music, the transferring process will show up in a pop-up dialogue. Please don’t disconnect the device. 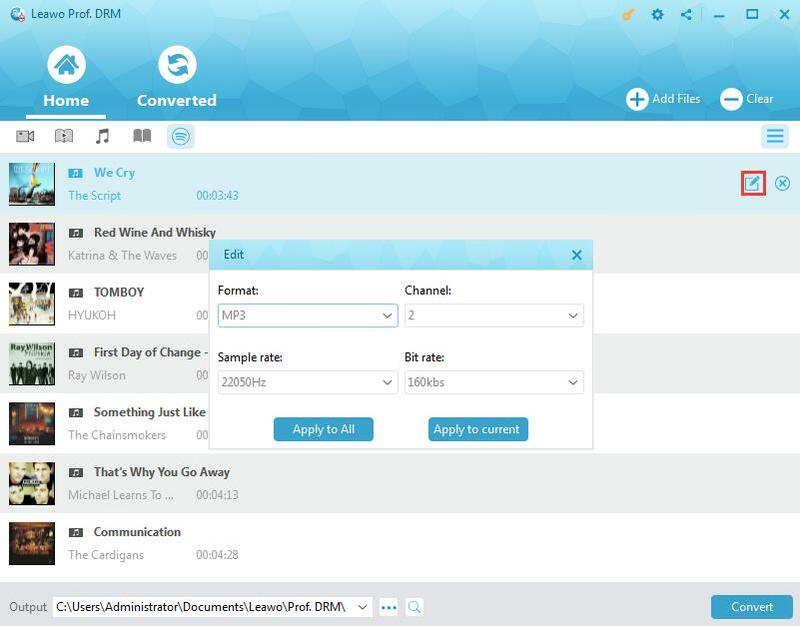 All in all, to know how to transfer music from Spotify to iTunes, you’d better know how to download Spotify songs and convert it to DRM free M4A music with Prof. DRM. Besides, if you are not intended to cost some money, there is also freeware that might help. 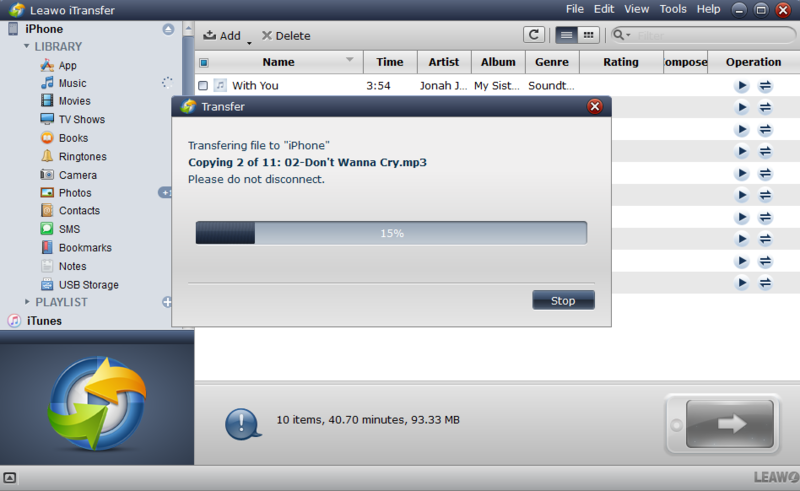 Furthermore, the convenient iTransfer program is necessary for you to have for transferring music between iOS devices. Finally, if you have any problems on converting Spotify to iTunes, feel free to follow our guide here.